Hit the water at full speed in this stylish Carve Designs® Dawson Rashguard. Four-way stretch fabric allows for ease of movement in and out of the water. 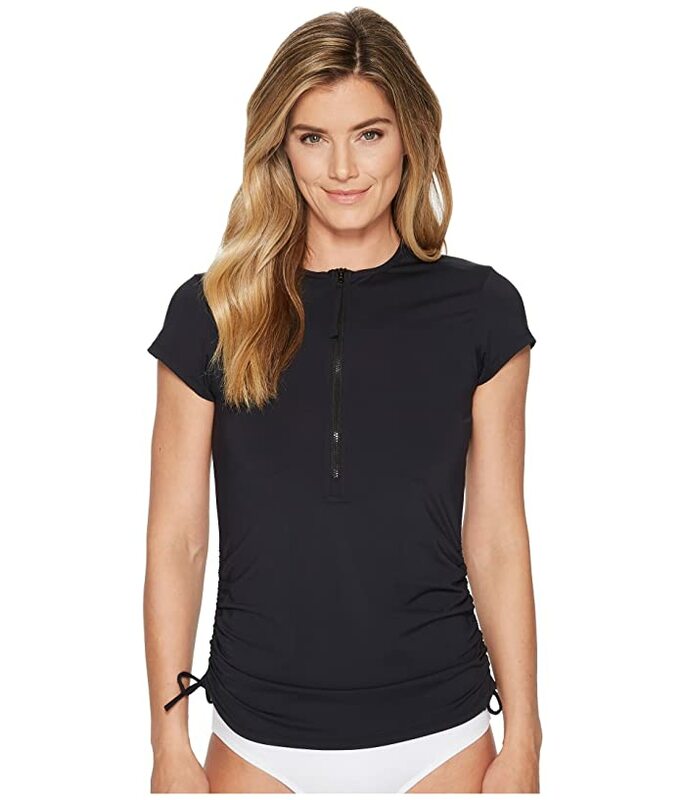 Crew neckline features a half-zip closure with pull tab. Side drawstrings create a flattering cinched look.